You can cancel your WAVE OnCloud subscription at any time. This will terminate all service resulting in the following actions. Connected radio systems will still remain functioning as normal but will no longer be able to communicate with Broadband Users. Broadband (Mobile and Web) Users will be signed-out and unable to log back in. This may take several minutes. Billing will cease at the end of the next monthly cycle. Billing occurs monthly so you will be charged for the full month. To avoid paying for service you will not be using you should cancel your subscription near the end of the monthly billing cycle. Your account will still exist in the WAVE OnCloud database and can be reactivated. To reactivate your account, sign in with your existing email address and password and then start a new subscription. 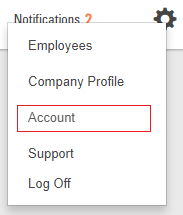 Click the Settings icon and then click Account. In the Subscription section click Manage Subscription. The Subscription Management page opens. 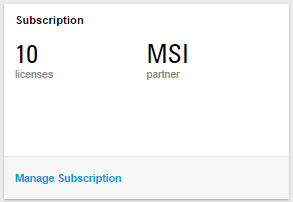 In the Subscription section, click the CANCEL SUBSCRIPTION button.